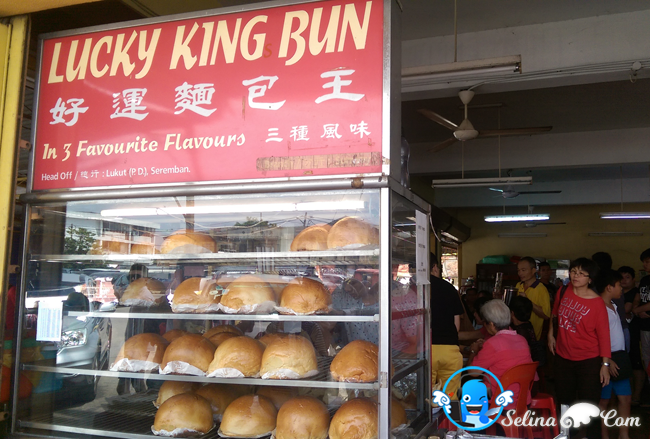 Since my family and I reached the Port Dickson during hari raya hoilday, I told my mom that we should try a famous "Lucky King Bun" which sell in Lukut because I heard from my hearing friends that it is very big-size bun, just like your both palm hands need hold a bigger bun, then you will feel heavy when you carry it! We really love curry chicken, so we want to buy it! 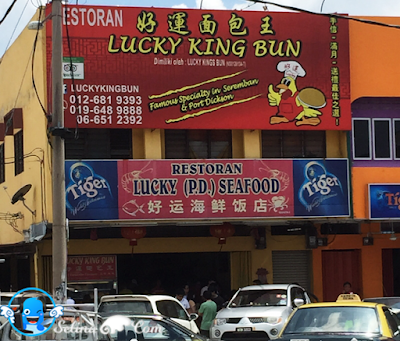 Lucky King Bun with Seafood restaurant is packed with people when I arrived there, around 1pm. I shocked that many people are waiting at outside restaurant already! They want to wait until the people finish to eat lunch inside this restaurant...It is not easy to get a table. And for me, difficult to find a car parking too. Many people want to park or waiting in their car for relatives / friend to buy it from there. We bought two types of buns that are the Curry Chicken Bun and Curry Pork Ribs Bun.As I know, there are three types of buns are Curry Chicken Bun is RM30, Pork Ribs Bun is RM36 and the "Yin Yong" is RM38. We better to take away because the custromers also looking for the seats so we cannot go inside this restaurant. which are very full. 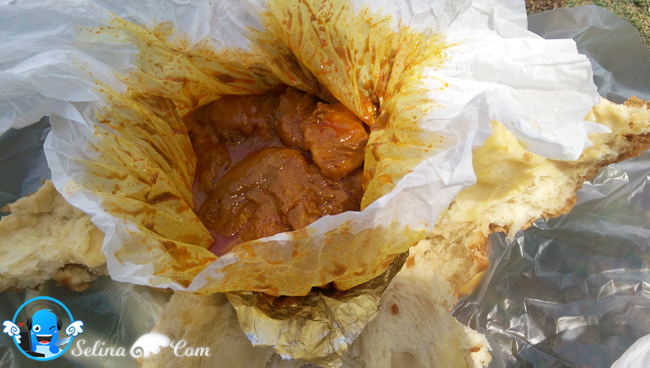 We went to the Waterfront's beach as we love to do the picnic by the seaside with Lucky King Bun - Curry Chicken. My family enjoyed this bun at the seaside at Port Dickson Waterfront, near the Macdonald's. When you want to open this bun, you can see the aluminium foil wrapping inside a bun... Then you, will tear away the aluminium foil. After this, we will see the curry chicken wrapped up into a compact bundle. Wow. So, it looks a very nice thick gravy curry inside. 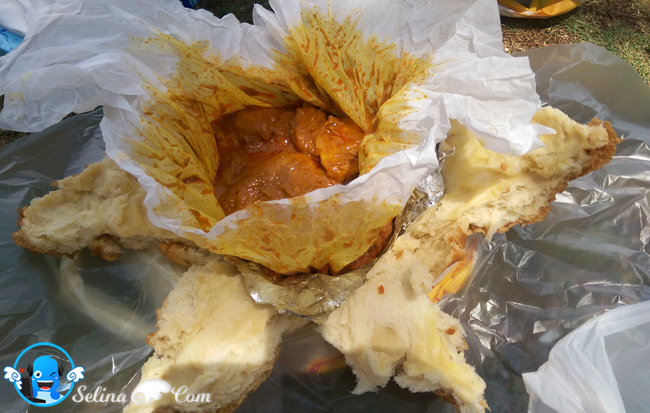 It is curry chicken filled with potatoes, thick curry gravy, wrapped around with baked bread on the outside. We just cut the bread on the outside to open, just like a flower petal. We can take a bread then put it in the fresh homemade curry sauce...this taste of sauce are very delicious, and spicy! I also put a chicken with potato on my bread then, I eat it in my full mouth, yummy! Great! 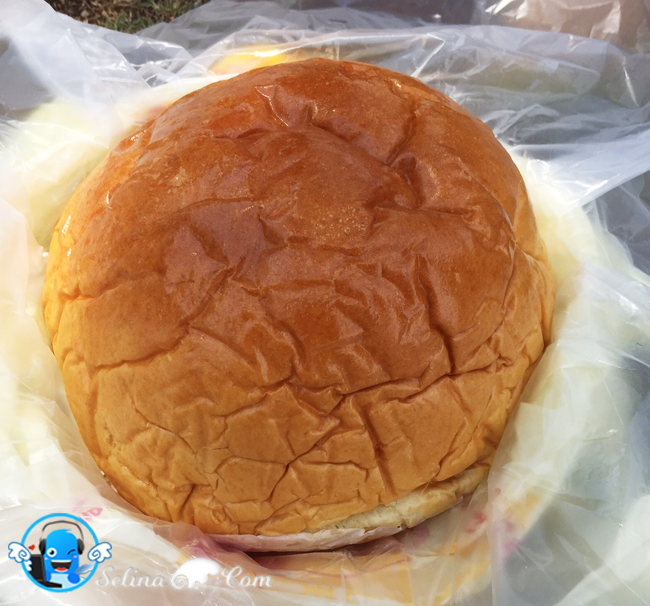 It is really a big bun and was filling for 4-5 people eaten as lunch. That is why we, 5 persons in family who are very full! My grandma was very happy to enjoy the Lucky King Bun - Curry Chicken so much. 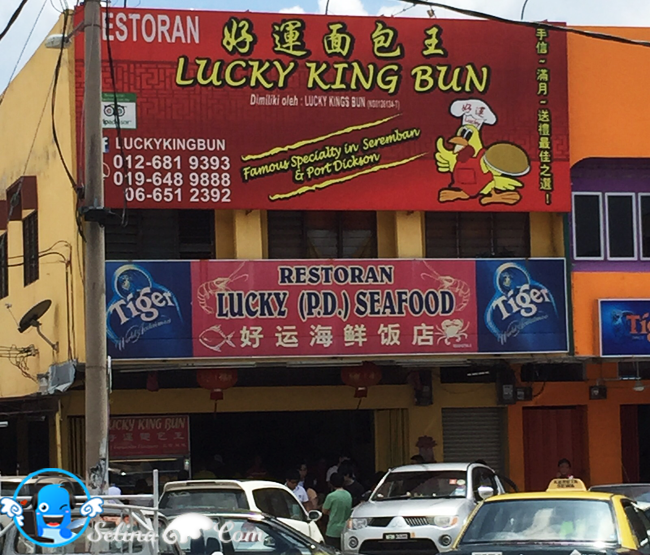 When your family and you plan to trip to the Port Dickson, you better to drop off at Lukut if you want to eat a very famous bun from Lucky King Bun's restaurant for your lunch! I suggest that you come to buy there so early morning. This restaurant always get crowded people on every weekend! Haha. So big bun.. Some guys must really like it a lot ;) .. I am wanting that yummy curry inside. wow looks at that bun! anything with curry could not go wrong. OK that bun is really big! Agreed sangat!